Which corresponds with Liz on June 9. Congratulations Liz! 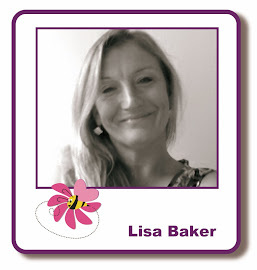 You now have a week to contact Lisa, lisabaker1@btinternet.com, to claim your prize. The next promotion & giveaway will start on July 7. Onyx Black Versafine & heat set with clear embossing powder. I added a little colour with a white pen & Sunshine Satin Silkies. To finish I mixed Sunshine Satin with water & flicked it over the card with a paintbrush. On the second card I used Seedless Preserves, Salty Ocean, Fired Brick & Mowed Lawn distress inks, masking off areas with scraps of torn paper for the background. Stamping as before with Versafine, coloured the mushrooms with watercolour pens & adding the splatters of watered down Sunshine Satin with a paintbrush. I used the tips of the Spring Trees stamp to create the grass effect at the base of the card. Interestingly, there is a different texture to the splatters in this card. I left them to dry naturally, instead of heat drying, as I had done with the first card. On the first card the splatters sank into the card, whereas they stayed on the surface of the second, so you can feel the raised texture. Something I must remember for future projects. That's it from me for today, I'll be back tomorrow with another Lavinia Stamps project.